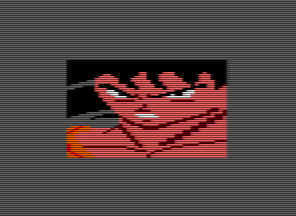 Astonishingly fast Amstrad CPC game engine for C and Assembler developers. CPCtelera has been created by these Authors, and is distributed under LGPL v3 License (low-level library, examples, building system and scripts). We give big thanks to all users, contributors and supporters, and all respects to our incredible Donors. Welcome to CPCtelera! If you want to create games for Amstrad CPC, you are at the right place. Donors We are incredibly grateful to these people, who sent us some economic support to continue with CPCtelera and other CPC-related projects. Supporting CPCtelera We, as authors of CPCtelera, have started this journey to create a usable, free, convenient and up-to-date game engine. Installing CPCtelera CPCtelera works under Windows, Linux and OSX. Software Requirements In order to install CPCtelera, your system will require previous software. Troubleshooting Users have reported some occasional issues installing CPCtelera. Starting with CPCtelera Once setup.sh completes without errors, CPCtelera will be ready to use. Advice for Assembly coders Just a few comments for those wanting to program in Assembly with CPCtelera. Screenshots Let’s have a quick look at some things that CPCtelera can do. If you want to create games for Amstrad CPC, you are at the right place. Welcome to CPCtelera! Draw solid colour boxes and speed up sprite trail erasing! Create fade-in / fade-out effects with your sound FX and music! Mix-up sound effects with music, using the 3 audio channels for both at the same time! Draw strings and characters using ROM characters without using firmware. Draw very fast tiles aligned with character lines in the screen. Do hardware double buffering and scrolling effects. Scan the keyboard for pressed keys with the fastest keyboard scanning routine available! Program completely in C, completely in Assembler or mix both languages at will. You won’t even have to touch a line of the build system! Automatic generation of binaries, assembler output, symbol files and everything you need for debugging your program. Automatic identification of your project source files in C and ASM (.c and .s). Add new source files to your src/ directory and they will be automatically recognized an compiled! Automatic detection of src/ directory structure up to 1 level of subfolders without any modification! Automatically launch and run your programs into an emulator with a single command. Automatically load symbol files for debugging on launching your programs. 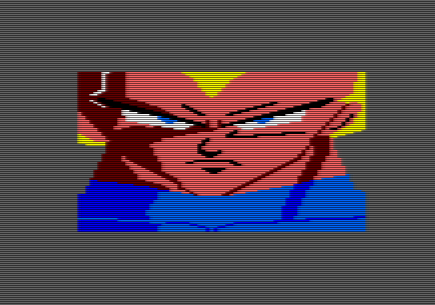 Convert a big sprite in a C Array into tiles of your desired size with cpct_sp2tiles! Convert old sprites in assembler CPCRSLib format into C Arrays with cpct_rgas2c! Generate and manage special kinds of DSK using DSKGen. And, of course, CPCtelera comes with a complete API documentation and lots of well documented examples for you to quickly and easily learn it! All these features included in a single bundle for you to download and use, free and under LGPL v3.0. License. You have all source code available for you to analyse, explore, improve and distribute! Economic support: make a donation using Bitcoin or Paypal (Links are at the top of this file). Big thanks for your support! New library features: develop new functions and features and give us a Github pull request. Please, do read pieces of CPCtelera code previously and try to meet our quality standards. Beta Testing and reporting: report your findings testing CPCtelera at any new platform or in new ways. You may leave us a Github issue. New tools: creating new tools or adapting your tools to be included with CPCtelera is an awesome idea! 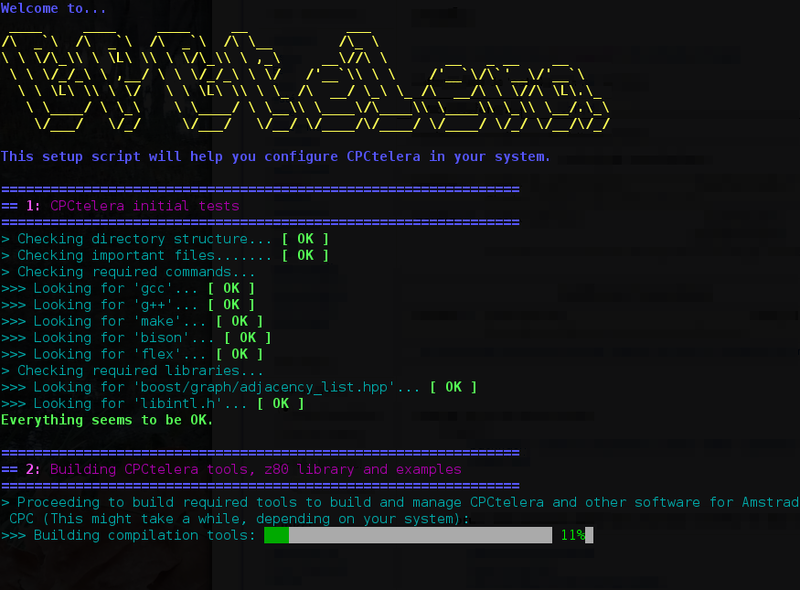 CPCtelera works under Windows, Linux and OSX. It has been tested in Windows XP, 7, 8 and 10, and in Ubuntu / Debian, Arch, Manjaro, Elementary OS and Raspbian Linux distributions. It works either on Intel architectures or on ARM’s. Download current stable version 1.4.2. In order to install CPCtelera, your system will require previous software. Check your system and install it before launching setup.sh. Install these packages on your Linux distribution. Although they are pretty standard, names may slightly vary on some distributions. On Raspbian and other ARM Linux OSes, the package texinfo is often required. We recommend you to install it beforehand. If your compilation fails, it may be due this package lacking in your system. Additionally, Windows 8/10 may ask you to install .NET framework during examples building. This is required to run Arkos Tracker and its command line tools. Proceed to install it when prompted. 1. Install XCode if you didn’t have it. 2. Install Homebrew if you didn’t have it. Some previous OSX systems may not understand the xcode-select --install command. On those systems, there usually are menu options from the XCode GUI to install Command Line Tools. If you need more advice, there is a nice explanation on stack overflow about the XCode Command Line Tools. 3. Open a terminal an enter cpctelera/ folder. 5. Once setup.sh finishes, close your terminal and open a new one for changes to be set. CPCtelera is ready to be used in your system. It is recommended to unzip CPCtelera to a folder inside your user’s $HOME path (typically /home/username/ or C:\cygwin\home\username\). Once you run setup.sh, CPCtelera will be installed in the path you have previously unzipped it. If you move the folder to a new location, you should run setup.sh again. However, CPCTelera can be installed anywhere in your system, provided the path does not contain any spaces. setup.sh checks software dependencies. If some dependency is not met, you will receive an error message requesting you to install it and then launch setup.sh again. Antivirus and scanning software. This kind of software is causing random issues that cause Cygwin and CPCtelera not to operate properly. Common problems include failing to compile and/or execute programs, privilege problems on executing programs and random crashes of Cygwin. If you experience this problems, try disabling your antivirus or scanning software. Once being sure that this is the reason for your problems, you may want to configure your software not to interfere with Cygwin. Windows 8/10 privilege problems. Under some unclarified circumstances, some users have privilege problems executing Cygwin sofware, and that affects CPCtelera. In this cases, the most common workaround is launching Cygwin terminal with administrator privileges. Windows 8/10 executable conflicts. Some users experience compilation or execution problems due to other Windows being using other software installed outside cygwin. This usually happens with MinWG (gcc, g++), SDCC and git, but may happen with other software aswell. On some installations, Windows PATH variable gives priority to previously installed software. So, when compiling with gcc, sdcc or using git, problems happen due to Windows version of the software being executed. In this cases, please check Windows PATH variable and adjust it accordingly. If you experience any diffenrent problem with Windows/Cygwin, please report to us so that we can include it in this list. Once setup.sh completes without errors, CPCtelera will be ready to use. To have a quick glance about what CPCtelera offers, you may enter examples/ folder and check all the examples included. You can build any one of them just by typing make inside the example folder, then CDT and DSK files will be automatically generated. src/ is the folder containing source files. At the start it only contains a main.c file, but you can create new files and folders (1 level of sub-folders) in it. All .c and .s files below src/ will be automatically detected and compiled when you type in “make” at your project folder. cfg/ contains the building configuration of your project. In the file build_config.mk you will be able to make changes to the way the project is built. The 2 typical are changing the project name and its binary load address. Open the file and you will see 2 variables for this purpose. You can change them whenever you wanted. Just a few comments for those wanting to program in Assembly with CPCtelera. Most of the assemblers available out there use MAXAM assembly syntax, and most assembly code out there is coded this way. 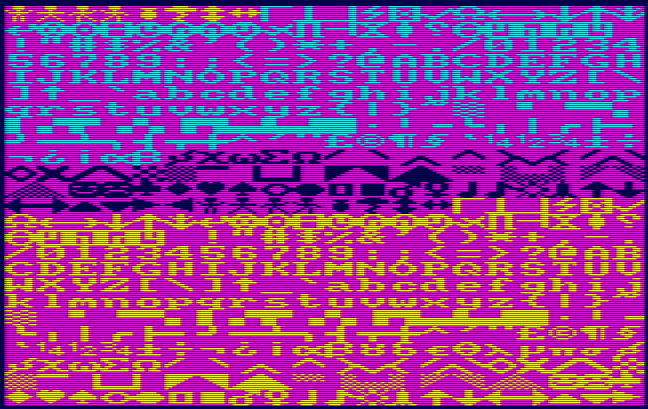 CPCtelera uses SDCC, which comes with ASZ80 integrated as assembler. ASZ80 has its own syntax and directives which are different to MAXAM’s. Take this into account when porting code to CPCtelera or when analyzing CPCtelera’s own code. ASZ80 is developed by Alan R. Baldwin, and hast a good and detailed documentation for ASZ80 assembly syntax online. Check it to port your programs from MAXAM’s to CPCtelera. CPCtelera lets you add assembly files to your projects by using the extension .s. Any .s file that you include in the src/ folder of your project (or any first-level subfolder) will be automatically detected and compiled by the default Makefile. Let’s have a quick look at some things that CPCtelera can do. We are incredibly grateful to these people, who sent us some economic support to continue with CPCtelera and other CPC-related projects. This converts RGAS sprite definitions in CPCRSLib asm output format to CPCtelera’s C arrays. Converts an image file with a set of tile or sprite images into a CPCtelera C-array tileset along with arrays for all tiles/sprites. In order to install CPCtelera, your system will require previous software. This script helps in the creation of new projects that use CPCtelera engine.